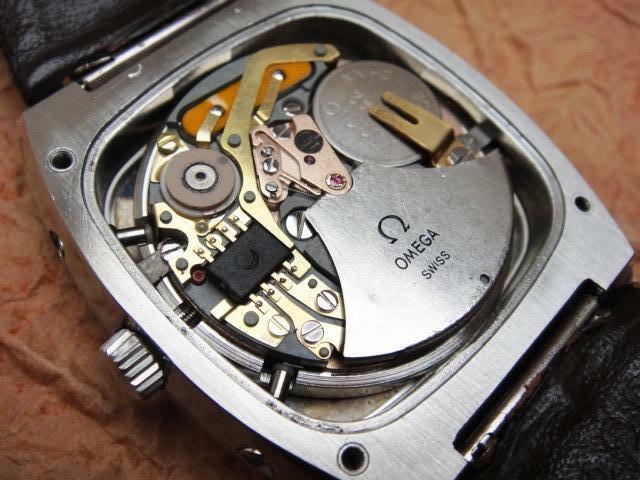 Omega joined the Quartz family with the Beta21 with their 1300 ElectroQuartz. 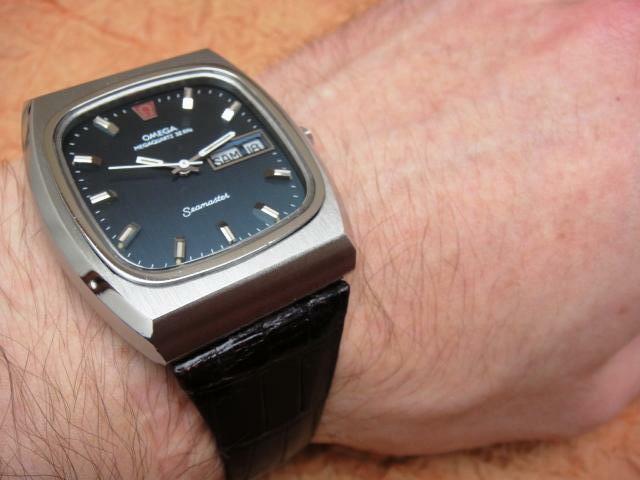 It was costly to fund development by CEH so Omega began independent R&D and in 1973 introduced their first inhouse 1310 32KHz MegaQuartz. The 1510 2.4MHz was available by that time so it is surprising that Omega used the same topshelf MQ branding for a standard 32.768Hz. I have been told that the 1310 was about four times cheaper to produce than the 1510 so the MQ label might have been a marketing trick to lure economy customers. 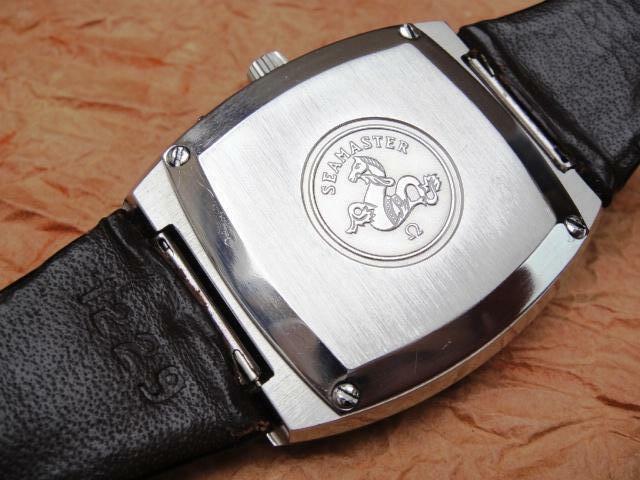 The movement was fitted into dozens of models including the Constellation and Seamaster line of which the one pictured here is a pretty rare massive version. PS. 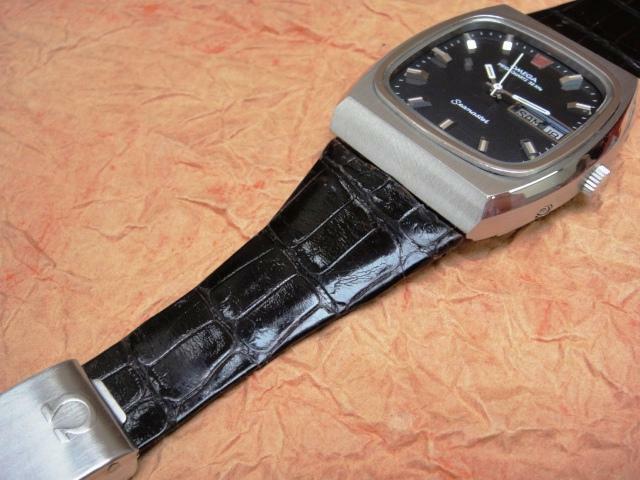 Not many people are aware that also the sibling Tissot used the 1310 in very small quantities. 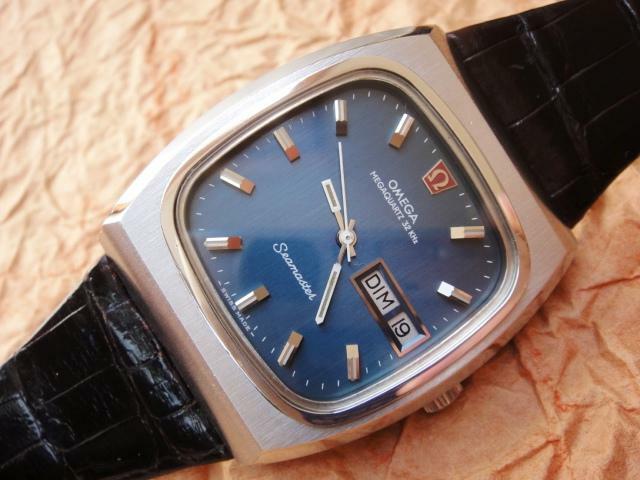 The plastic was blue instead of grey and named calibre 2100. 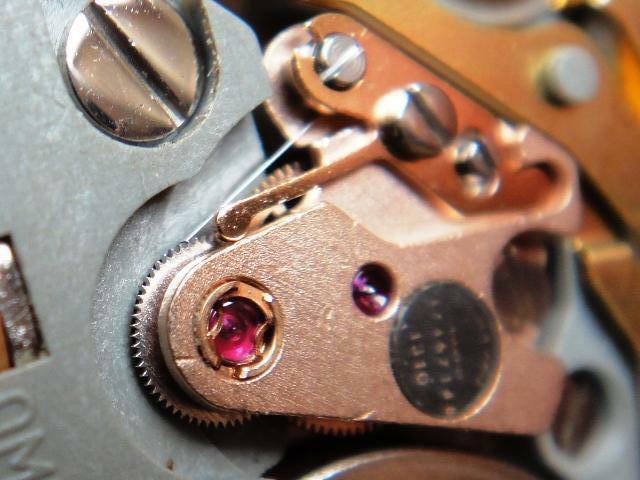 The movement consists of three modules like many other early quartz inventions however I find the Micro-Quartz and TechniQuartz far simpler and superior to the 1310. 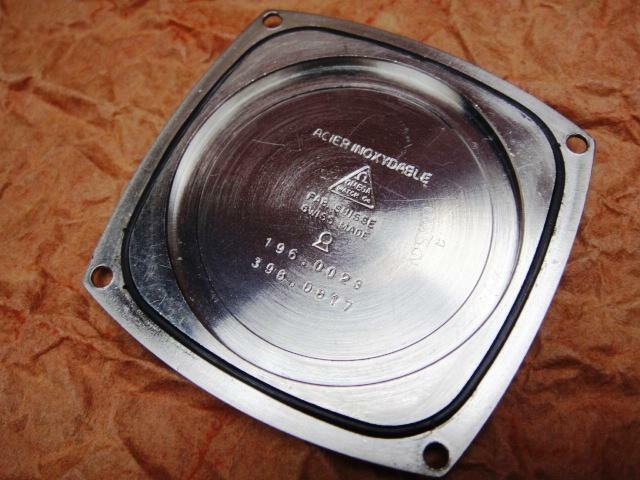 The motor module with large exposed coil is covered with a removable plate which secures this vital part from accidental damage during battery exchange (the plate is loose and usually missing). 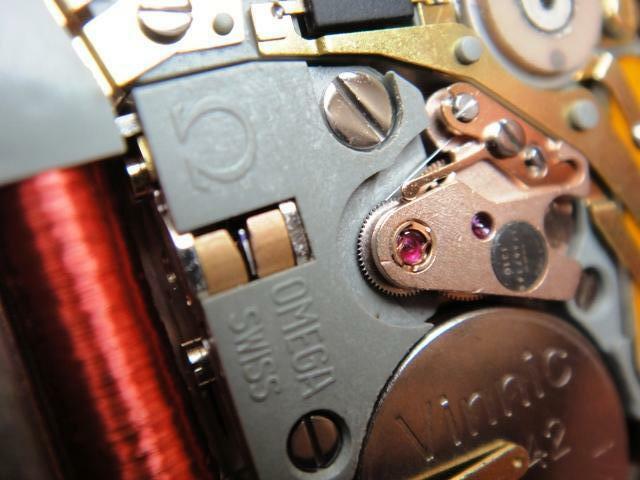 The coil and motor with worm-gear appears to be one piece but it can be disassembled for cleaning and repair purposes. 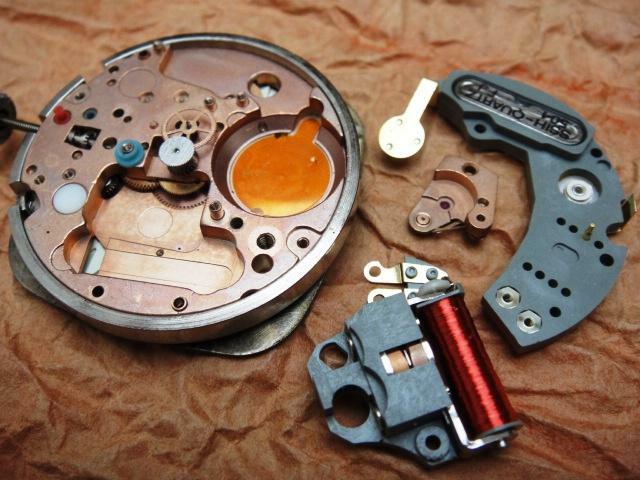 You will have to unscrew the top movement plate before removing the motor module which you can easily dip in alcohol for a while to remove any residues or dirt. There is not much to fix unless the jeweled motor pinion is stuck for some reason. 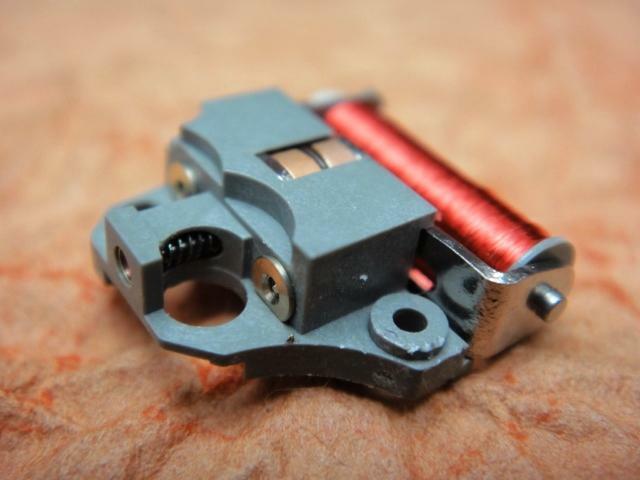 Check my other MQ review with a stripped motor assembly. 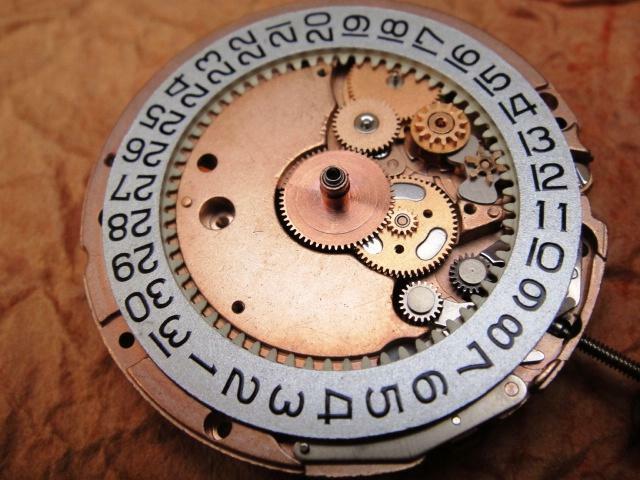 The 1310 has timezone setting (same as 1510) by means of a two-layer intermediate setting wheel. Each layer contains 3 kidney-shaped magnets that attract each other and correct the hour hand against the minutes (when the stem is returned to neutral position). If timezone doesn't work check proper friction on the wheel press-fitted to the cannon pinion. Another propeller-shaped two-layer wheel is used for quick-setting of date. A troublesome backlash assembly for the seconds-pinion is shown left. 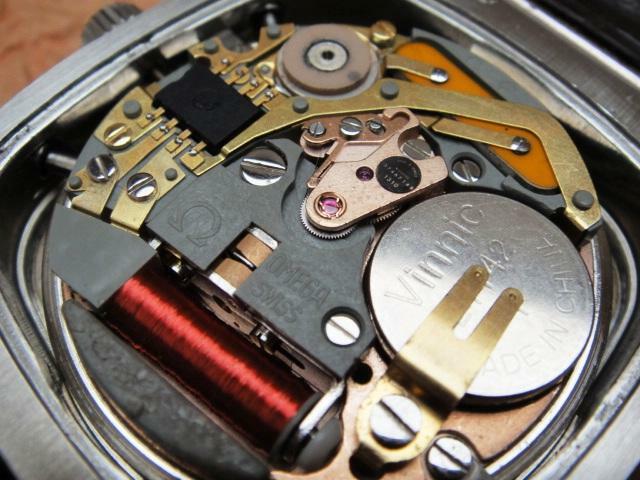 It has to be adjusted/indexed (in a similar manner to the Accutron) to prevent seconds from jumping backwards or stopping the movement.